Can you freeze plastic containers? Chances are that you have used plastic countless times in your life. Plastic is a go-to material, whose incredible versatility makes it indispensable with important domestic and commercial uses. But then, with so many uses, is it safe to freeze food in plastic containers? Or is cooking food in a plastic container healthy? And what kinds of plastics are safe? You will find the answers in this post! Read on! Generally, plastic food containers are made of different kinds of plastics. Usually, the triangle mark contains a ‘resin identification number’ inside it. This number actually denotes the degree of recyclability of the plastic, and the triangle determines if the plastic is recyclable or not. This is the most popular form of plastic container in the market. Used to store all kinds of foods and beverages like water, juice, mayonnaise etc., PET jars can be reused once they are cleaned with soap water. However, a word of caution: research shows that washing PET bottles over and over again can result in the plastic’s toxic and carcinogenic chemicals getting into stored food or water. Discard your PET jar if it gets cracked or appears cloudy. Another safe plastic used to make milk jugs and water bottles, high-density polyethylene does not release toxic or carcinogenic chemicals into food or water and is accepted by most recycling companies. These types of plastics don’t release chemicals into stored food, but they aren’t readily accepted by recyclers. LDPE plastics are usually used to make sealable sandwich bags, plastic cling-wrap, and squeezable condiment bottles. This type of plastic container does not release any chemicals into food or water, but not all organizations recycle polypropylene. It is primarily used to make yogurt and other reusable snack containers. This plastic is usually used to make plastic cups, picnic plates and utensils. 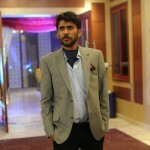 It is created using renewable sources like corn, potatoes, sugarcane and other starchy foods. This type of plastic is regularly used to make cling-wraps and other plastic containers. PVC releases dioxins that are classified as human carcinogens. PVC also contains phthalates that can lead to improper hormonal function, and can even cause hormonal damage. This plastic is used to make cups, cartons and take-out containers. The popular white foam cup is made up of polystyrene, whose manufacture releases carcinogenic and toxic chemicals that can lead to many health conditions. Usually used to make water cooler bottles and baby bottles, polycarbonate contains bisphenol A, which has known hormone-disrupting qualities. Usually, the best plastic container to store frozen food is a moisture-vapor-resistant plastic container with a lid. These plastics are quite safe and can be used for years. On the other hand, you can consider using Pyrex glass containers with lids to freeze, microwave and store food. These are available quite easily and pose no threats, unlike toxic and carcinogenic chemicals that are used to make plastic (1). 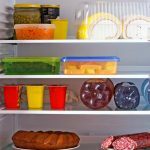 You have looked at the different safe and unsafe plastics, and what kinds of plastics you can effectively use to freeze food. 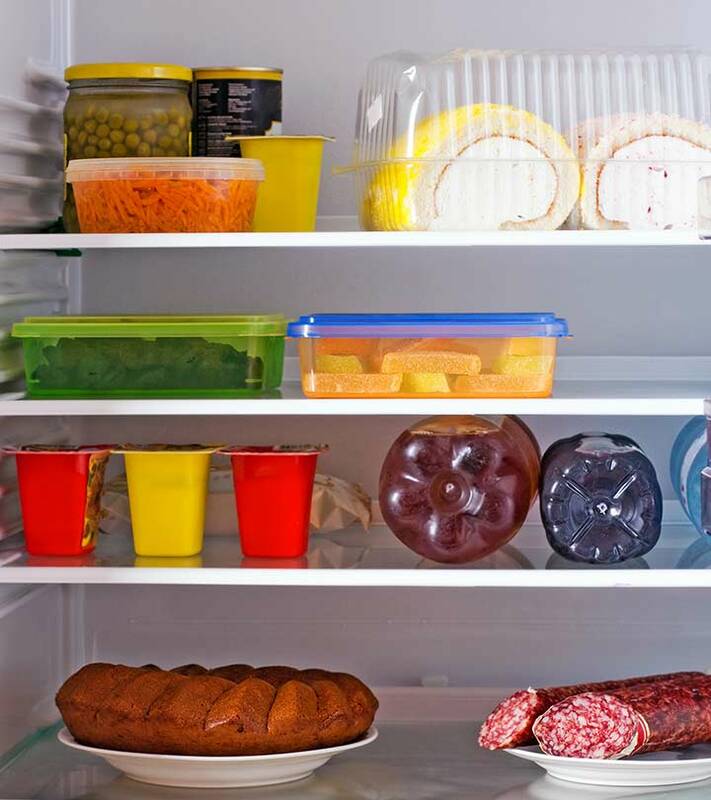 Plastic has many domestic and industrial uses, but it is not a good material to cook, reheat, freeze and store food in, even if the plastic is marked microwave safe or temperature resistant. So the next time you are about to freeze some food, consider wrapping it in an aluminum foil instead of a cling–wrap. And please tell us about your methods of storing food. Leave a comment below! Every Night, Wrap Your Stomach With A Plastic Foil: Here Is What You Will Achieve!